Dr. Karen Davis, Ph.D. founder of United Poultry Concerns, the world's foremost nonprofit organization dedicated to promoting the respectful treatment of domestic fowl joins eHealth Radio and the Health News & Animal Health Channels. She also founded the Alliance to End Chickens as Kaporos in 2010. Tell me about United Poultry Concerns and its work. What was motivation that made you decide to focus on chickens? I understand you just did a seminar with the NYC Bar Association on Animal Slaughter and Kaporos – can you give me an overview of what was discussed? What’s next for you and United Poultry Concerns? KAREN DAVIS, PhD is the founder and president of United Poultry Concerns, a nonprofit organization dedicated to the compassionate and respectful treatment of domestic fowl. Founded in 1990, United Poultry Concerns addresses the treatment of domestic fowl in food production, science, education, entertainment, and human companionship situations. Karen has a PhD in English from the University of Maryland-College Park where she taught for 12 years in the English Department. Karen’s articles have appeared in The Faculty Voice (University of Maryland), Journal of English and Germanic Philology, English Language Notes, Teaching English in the Two-Year College, and Between the Species: A Journal of Ethics. Her work, letters-to-the editor and op-eds have been featured in the New York Times, New Yorker, New York Daily News, Wall Street Journal, Washington Post, Washington Times, Washingtonian, Altoona Mirror, Chicago Tribune, Portland Tribune, Chicago Sun-Times, Columbus Dispatch, Cleveland Plain Dealer, Chattanooga Times Free Press, Rochester Democrat and Chronicle, Potomac Gazette, Jerusalem Post, Harper’s Magazine, Atlantic Monthly, Minnesota Monthly, Minneapolis Star Tribune, The Nation, Baltimore Sun, Los Angeles Times, San Francisco Chronicle, San Jose Mercury News, “Dear Abby,” Egg Industry, Feedstuffs, Journal of the American Veterinary Medical Association, Canadian Veterinary Journal, One Green Planet, and many other publications. Karen has appeared on numerous TV and radio shows including The Howard Stern Show, The Daily Show, Fact Finders on WB Channel 11 News @ Ten in New York City, 1010 WINS’ John Montone reports/CBS New York, Fox Television, and This American Life on National Public Radio. In 2011, Karen published a chapter on her growth as an activist, “From Hunting Grounds to Chicken Rights: My Story in an Eggshell,” in Sister Species: Women, Animals, and Social Justice (University of Illinois Press). Her contribution, “Birds Used in Food Production,” appears in The Global Guide to Animal Protection (University of Illinois Press, 2013). Karen’s essay, “The Mental Life of Chickens as Observed Through Their Social Relationships,” is the opening chapter in Experiencing Animal Minds: An Anthology of Animal-Human Encounters (Columbia University Press, 2012), and her essay, “From Animal Oppression to Animal Liberation: A Historical Reflection,” is the Afterword in Defining Critical Animal Studies: An Intersectional Social Justice Approach to Liberation (Peter Lang, 2014). Karen’s chapter, “Anthropomorphic Visions of Chickens Bred for Human Consumption,” in Critical Animal Studies: Thinking the Unthinkable (Canadian Scholars’ Press, 2014), analyzes the transformation of chickens and turkeys into mutilated forms of existence as an endeavor not only of the poultry industry, but as a “welfare improvement” strategy endorsed by elements of the so-called animal protection movement. In 2010, Karen and a group of New York City activists formed The Alliance to End Chickens as Kaporos (www.EndChickensAsKaporos.com), a project of United Poultry Concerns comprising people who seek to replace the cruel practice of swinging and slaughtering chickens in Kaporos rituals with money or other non-animal symbols of atonement. On October 9, 2010, Pulitzer Prizewinning photojournalist Carol Guzy published “An ancient tradition draws protests” in the online edition of The Washington Post, prompted by the Alliance’s Rally to End Chickens as Kaporos, on September 12, 2010, in Brooklyn, NY (www.endchickensaskaporos.com/101011wpost.html). Karen's work is prominently featured in the National Museum of Animals & Society’s online exhibit “Un-Cooped: Deconstructing the Domesticated Chicken.” This unique museum, which opened in May 2013 to correspond with UPC's International Respect for Chickens Day May 4, is a treasure house filled with historical and contemporary documents about chickens. Visit Un-Cooped at www.uncooped.org. Karen Davis is the author of several books including A Home for Henny (a children’s book published by UPC); Instead of Chicken, Instead of Turkey: A Poultryless ‘Poultry’ Potpourri (a cookbook published by the Book Publishing Co.); Prisoned Chickens, Poisoned Eggs: An Inside Look at the Modern Poultry Industry (Book Publishing Co.); More Than a Meal: The Turkey in History, Myth, Ritual, and Reality (Lantern Books); and The Holocaust and the Henmaid’s Tale: A Case for Comparing Atrocities (Lantern Books). The 2009 Revised Edition of Karen’s landmark book Prisoned Chickens, Poisoned Eggs (first published in 1996) is described by the American Library Association's Choice magazine as "Riveting . . . brilliant . . . noteworthy for its breadth and depth." See Book Reviews at www.upc-online.org/bookreviews. Karen Shayne and Judy Pearson who were in the fight for their life suffering from cancer & survived joins eHealth Radio and the Cancer Prevention and Information Channels. They both later launched a movement where women everywhere could feel connected thus launching Women Survivors Alliance. How did both of you ladies come together to create the Women Survivors Alliance? You mention that no one prepares you for cancer survivorship, what do you mean? What are some specific things that changed in your life? What are the 5 keys to survivorship, in your mind? What do women survivors gain from the convention that is unique from any other convention? On your Web site you reference –My 2nd Act – what does that mean? What is the My 2nd Act Stories from the Stage all about? What is the greatest challenge that you both are overcoming currently that you can share, along with tips on how you are handling them…that will impact our listeners? Where can you go to learn more or sign up for the convention? Karen Shayne has been on “both sides of the desk” when it comes to cancer treatment. Not only does she have 20 years of experience as a healthcare administrator, but she has beaten cancer twice on her own. It was these extensive experiences with the treatment process that showed her how insufficient the resources for cancer survivors are, and inspired her to form the Women Survivors Alliance (WSA). As Karen wrapped up her battle with cancer, she expected that everything would go back to the way it was before she'd been diagnosed. Unfortunately, that wasn't the case—soon after her treatments stopped, she began struggling with other issues. Rejoining “normal” society was difficult and depression set in. It wasn't until she became involved with Relay for Life that she realized her situation wasn't unusual—that it was, in fact, “normal” for survivors to face complicated physical and emotional challenges with very little in the way of support. Karen's first efforts to help cancer survivors culminated in a nonprofit named “Billy's Wish,” an organization dedicated to helping children fight cancer through educational DVDs, CDs, and coloring books. These free materials explain what cancer is, and what children can expect from their treatment, all in an age-appropriate and encouraging manner. While she's still involved with Billy's Wish, Karen knew that she could contribute in an even bigger way to helping cancer survivors across the country. After five years of research and planning, in 2012 Karen launched the National Women's Survivors Convention (NWSC), the nation's most important annual event for women cancer survivors. Participants from 49 states and 5 countries attended the inaugural convention, studying survivor's issues from a broad range of experts and teachers. When it became obvious that there was demand for a year-round presence, she helped start The Plum, a digital magazine for survivors all around the world. In addition to her roles with the WSA and the NWSC, Karen served as Tennessee State Lead Ambassador for the American Cancer Society Cancer Action Network and is currently as the Survivorship Committee Chairperson for the Tennessee Cancer Coalition. She lives in Nashville with her little dog Marley and in her limited spare time, she is a wannabe pro-style baker and loves to kick back and enjoy the spirit of her musical roots in Nashville. Originally from Michigan, Judy Pearson is an international speaker and award-winning writer with three published books. Her first two books, Belly of the Beast: a POW’s Inspiring True Story of Faith, Courage and Survival, and Wolves at the Door: the True Story of America’s Greatest Female Spy, are World War II biographies about ordinary people exhibiting extraordinary courage. Judy was diagnosed with breast cancer in 2011. It wasn’t the diagnosis or treatment that challenged her lifelong positive attitude. Rather, it was the laundry list of survivor ship issues that rocked her. This experience inspired her to write her third book, It's Just Hair: 20 Essential Life Lessons. The book’s lessons are appropriate for any life challenge and was a 2012 International Book Award finalist. 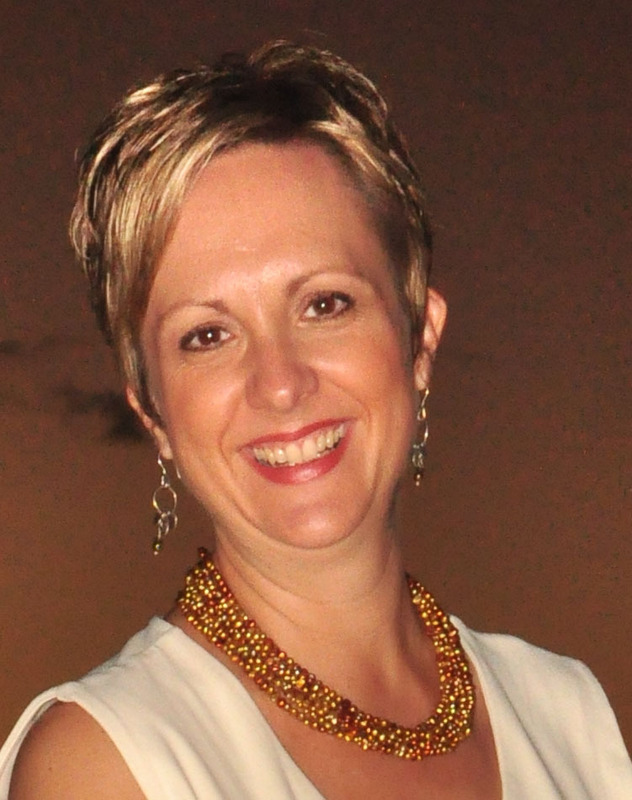 Her continued search for a new “normal” in survivorship was what led her to Karen Shayne. And the Women Survivors Alliance (WSA) was born. It was an excellent fit. Judy had been dedicated to building communities and helping women even before she was diagnosed with cancer. In 2005, she founded an organization called “Courage Concepts,” dedicated to cultivating courage in women and girls. Already an experienced keynote speaker and workshop leader, Judy brought the message of the fledgling WSA into brilliant, sparkling focus. 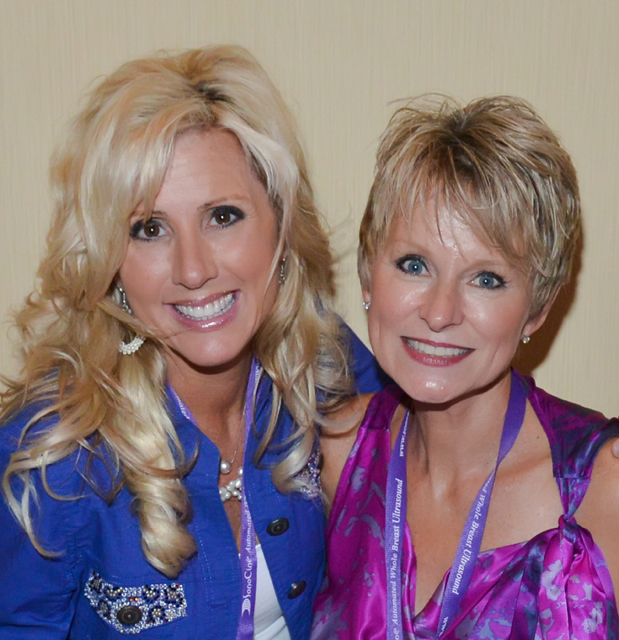 Judy now spends her time running the WSA and the National Women's Survivors Convention with co-founder Karen Shayne. She also continues to write, advocate for women survivors, and inspire women world-wide with her message of courage and determination. She splits her time between Chicago and at a lake house in Michigan with her husband David. Of course, she lives life to the fullest every day with very little spare time. But high on her list are trips to the gym, long power walks, a great book and a relaxing cocktail watching the sunset. 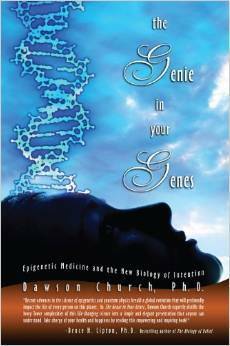 Dr. Dawson Church, PhD, an award-winning author whose best-selling book, The Genie in Your Genes, has been hailed as a breakthrough in the field of epigenetics joins eHealth Radio and the Mental Health and Personal Development Channels. What conditions can be improved by using EFT? Can you do EFT on your own or do you need a practitioner? How long does EFT take to work? Tell us about your scientific research with EFT. Dawson Church, PhD, has edited or authored many books, and collaborated with leading authorities including Larry Dossey, MD, Bernie Siegel, MD, Christiane Northrup, MD, and others. He founded Soul Medicine Institute to research and teach emerging psychological and medical techniques that can yield fast and radical cures. His award-winning book, The Genie in Your Genes, pioneers the field of Epigenetics, explaining the remarkable self-healing mechanisms now emerging at the juncture of emotion and gene expression. Dr. Church has authored numerous scientific studies through the Foundation for Epigenetic Medicine, and is the editor of Energy Psychology, a peer-reviewed journal. He shares how to apply these breakthroughs to health and athletic performance through EFT Universe, one of the largest alternative medicine sites on the web. Joy Kakabeeke, certified yoga instructor, holistic wellness coach and owner of Yoga Reflections in Mattawan, Michigan joins eHealth Radio and the Yoga and Fitness Channels. I understand you recently received a business award. Can you tell me about that? How did you get into the yoga and wellness business? Who can do yoga? Do you have to be really flexible? I know that there are a lot of different styles of yoga our there. Can you describe a bit more about the styles offered at Yoga Reflections? Word is spreading that you're offering a new fitness trend at your studio. Can you tell me about that? Joy Kakabeeke has worn many hats before opening her studio in 2010. She graduated from Arizona State University in 1996 with a degree in Mathematics Secondary Education. She began teaching high school and college level mathematics in 1996 and while continuing her education at the University of Phoenix. She graduated with a Masters in Educational Leadership in 1999 and continued to teach in Phoenix, Arizona through 2001. Joy moved back to Michigan in the summer of 2001 and began teaching mathematics at Loy Norrix High School in Kalamazoo. After giving birth to her daughter in 2006, Joy taught for just a while longer and then retired from teaching. Since then, she continues to work hard as a mother and she also works part time as a Caribbean and European Specialist for Paradise Getaways, LLC. Joy has been practicing yoga since 2005. She found that, after a serious car accident and then being diagnosed with fibromyalgia, yoga far exceeded her expectations for better health. Joy Kakabeeke completed her teacher training and became a certified yoga teacher in the summer of 2010. Shortly thereafter, she opened up Yoga Reflections so that she can share the wonderful benefits of yoga with others. All of the certified, experienced and trained instructors at Yoga Reflections truly understand that each person's abilities are different and have a varying degree of limitation. By focusing on proper techniques and alignment, the yoga and Pilates postures can benefit anyone. And, you don't have to be able to put your foot behind your head to achieve those benefits! Whether you are an athlete, new to fitness and health, have arthritis or chronic pain, a consistent yoga and Pilates practice will benefit you. Tyler Hayes, Founder & CEO of Prime, a digital healthcare record in your pocket joins eHealth Radio and the Healthcare and Technology Channels. Why did you decide to start up Prime? 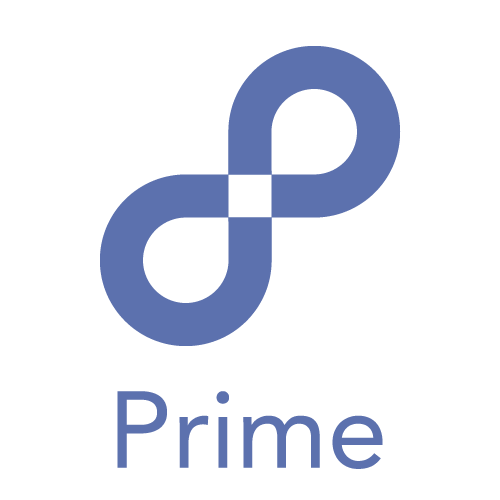 What does Prime do exactly? What are some of the challenges people face when trying to access personal health records? What can our listeners do to take control of their health information? Where can our listeners get Prime? What advice would you give families supporting a loved one with chronic illness? Tyler Hayes is the CEO of Prime. 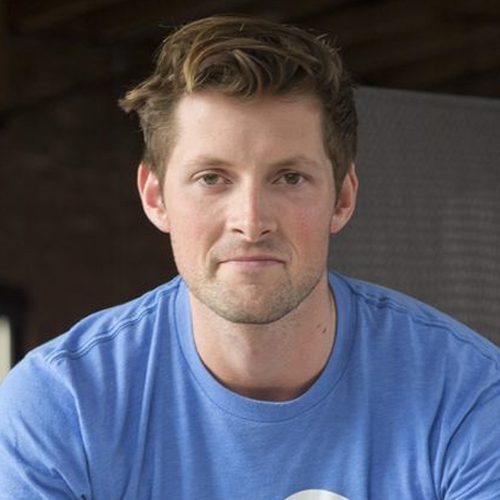 Before co-founding Prime, Tyler was an early employee at Disqus and was responsible for Disqus' publisher-facing products and services, including Disqus' mobile and internationalization teams. Prior to that, Tyler led the Community team at Disqus. Tyler earned B.A.s in Neuroscience and Japan Studies from St. Olaf College. 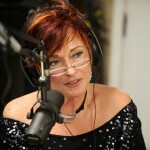 Laura Dion-Jones, a pro-health activist, Certified Corporate Wellness Coach (CCWC), Certified Wellness Coach (CWC), TV & Radio show host, and motivational weight loss and lifestyle writer, speaker and author of Commit To Get Fit: Find the Secret to Your Own True and Everlasting Weight Loss joins eHealth Radio and the Weight Management Channel. 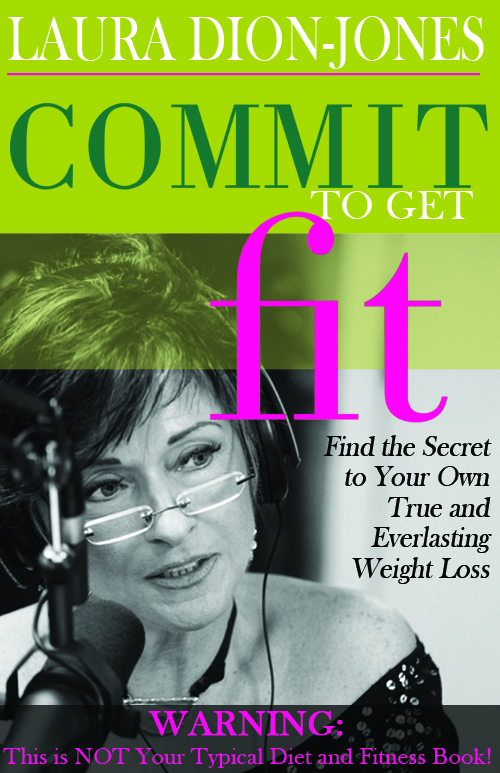 Your book, Commit To Get Fit: Find the Secret to Your Own True and Everlasting Weight Loss - for those that may have missed your last interview, briefly what is this book about? We hear you have a Warning printed right on the front cover of your book that says: Warning: This Is NOT Your Typical Diet Fitness Book! Why the warning? Tell us about your accounts of people’s perceptions of you—because of your weight—and how those perceptions influenced your decision to change. Your struggled with an injury that sidelined you and as I understand you were not afraid to see a number of doctors until you had the necessary information. Tell us about this if you would. What, in your opinion, is the biggest cause of our country’s obesity epidemic? Laura Dion-Jones is a Pro-Health Activist, Certified Corporate Wellness Coach (CCWC), Certified Wellness Coach (CWC), TV & Radio Show Host, motivational weight loss and lifestyle advice writer, speaker and published author of Commit To Get Fit: Find the Secret to Your Own True and Everlasting Weight Loss. Laura also specializes in all things motivational and to improve the human potential like developing discipline and a positive mindset, how to overcome adversity, as well as fashion, fitness, beauty, and advice about related women's and men's issues on improved personal appearance and increased self-esteem. In essence, everything else that it takes to find the secret to your own true and everlasting weight loss. . . and be strong. Laura also helps you find the diet that’s right for you, develop the daily cardio discipline and achieve lifelong wellness success. Laura writes human interest-human nature, travel and canine articles as well as screenplays, essays, short stories, and of course, motivational articles. She teaches, inspires and motivates from the heart -- based on real-life experience. After living a lifetime of chronic obesity, she lost 150 pounds in 2-1/2 years by smart healthy eating and a commitment to daily cardio. Almost ten years later -- she’s kept all the weight off. Today Laura is waging her own private war on our nation’s escalating obesity epidemic. She speaks to community groups, church groups, associations, health and wellness organizations and businesses. She also coaches individuals struggling with weight issues who want to achieve and maintain a fit and healthy lifestyle. 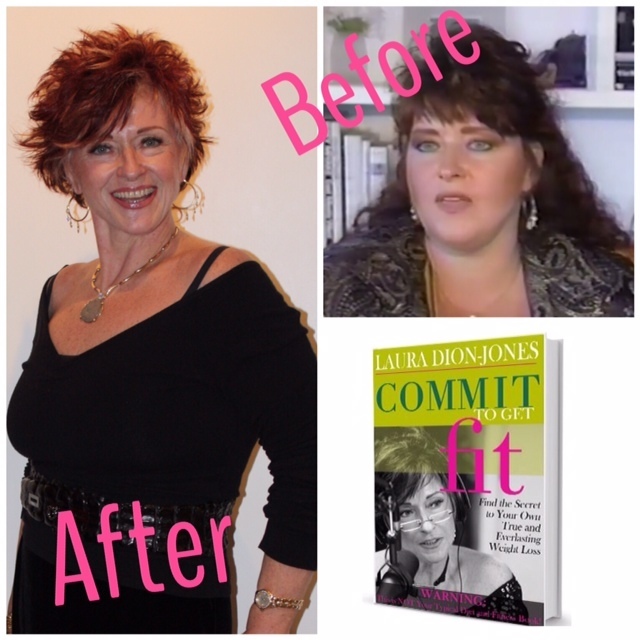 Commit To Get Fit is Laura’s series of accountability-based weight loss management and fitness programs, motivational seminars and custom-tailored wellness programs -- a no-nonsense, comprehensive means to a fit and healthy lifestyle for individuals, organizations or corporate workplaces. 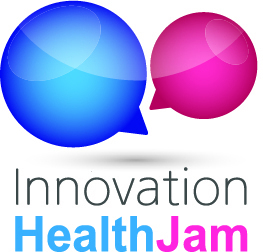 The Innovation HealthJam, a collaborative brainstorming event LIVE through June 19! 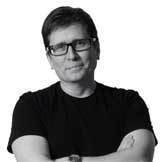 John Nosta, the Founder of NostaLab and contributing writer for Forbes and Bloomberg joins eHealth Radio and the Health News and Health Care Channels. John will be hosting one of the The Innovation HealthJam's eight discussion forums that is a collaborative brainstorming event that is happening NOW through 6pm Pacific time on Thursday, June 19. You can register at www.innovationhealthjam.com to be part of a free, three-day virtual conference that is bringing together the, top minds from across the healthcare landscape to discuss a variety of emerging industry issues across eight important healthcare-related topic areas. What is the Innovation HealthJam? What is your role/involvement in this event? Who should participate in this event and why? Who is sponsoring the event and why did they decide to get involved? What else is going on at this event that would make this special? What are you hoping to learn from this event? First and foremost, John Nosta is a thinker. A thinker entrenched in the world of science, medicine and innovation. John is the founder of NOSTALAB--an amorphous, self-organizing neural network dedicated to the advancement of digital health. Unwilling to accept the status quo, he’s a contrarian with a focus the future of health and wellness. A leading voice in the convergence of technology and health, Nosta helps define, dissect and deliberate global trends in digital health. He is also the #1 Kred-ranked social media influencer in health, and in the top 10 of both the Pharma100 and HIT100 lists, and a Google Glass Explorer. John also pens HEALTH CRITICAL for Forbes--a top global blog on health and technology with over 1.5 million page views in the last year. He has made appearances on Bloomberg Surveillance as a contributor and guest host. 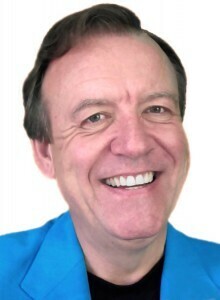 John has a established reputation as a vocal advocate for strategic thinking and creativity. He has built his career on the “science of advertising,” a process where strategy and creativity work together for superior marketing. He has also been recognized for his ability to translate difficult medical and scientific concepts into material that can be more easily communicated to patients, clinicians and scientists. He is also a popular lecturer on a variety of topics--always presented in a unique and stimulating way. 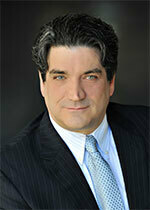 John is actively redefining the role of social media and influence marketing in healthcare. He is also a major influencer in the digital space and ranked globally in the top .01% in marketing, health, doctors and social media. John cut his teeth at the "big" agencies including Ogilvy CommonHealth, where he has held a series of positions including Chief Creative Officer, Chief Strategic Officer and unit President. James DiLella, the Vice President of Business Development, Enterprise Sales, and Product Strategy for VoiceFirst by Honeywell, developers of innovative voice solutions for the healthcare market joins eHealth Radio and the Health Care and Telemedicine Channels. What is EHR voice overlay and how does it work? How is VoiceFirst’s voice solution different than Nuance and other dictation-based voice systems? With which EMRs does VoiceFirst integrate? How does VoiceFirst benefit healthcare organizations? How does VoiceFirst benefit clinicians? Where can our audience go to learn more about VoiceFirst? As Vice President of Product Strategy, James DiLella is responsible for ongoing innovation, functionality, development and design of the VoiceFirst EHR voice overlay solution. Prior to VoiceFirst, DiLella was vice president, chief technology officer, and co-founder of EasyTalk MD, an iOS platform mobile data/speech workflow tool for EHR/EMR concentrated in the physician medical specialty area of healthcare. He has touched all areas of healthcare solution design, development, integrations and business initiatives, from initial concept, realization through commercialization since 2004. James is acutely focused in end user ease of use, workflow efficiency and user experience. He has a technical background in electronics and worked as an electronics engineer for the U.S. Government. 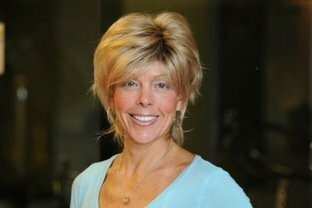 Sharon Starika, a movement educator, specializing in the Feldenkrais method joins eHealth Radio and the Pain Management and Fitness Channels. Sharon talks about the definition of pain, clarifying where it comes from, how and why it shows up in the first place - and how you can alleviate pain through awareness and movement. Tell us a bit about the type of work you do. You are talking to us about a concept you call the "Pyramid of Pain" - what is that, and why the name? Is it possible for people to have pain in multiple locations? Tell us what happens once people know where their pain is - and the process for it to go away? What kind of movement/s do you suggest to help alleviate pain? Does pain sometimes occur for some unknown reason? Sharon Starika has a deep passion for running, having been a competitive triathlete for more than 20 years. After a debilitating accident with a semi-truck two decades ago, Sharon’s doctors gave her little hope of ever running again since she had undergone nine surgeries on her left side. Through practicing the Feldenkrais Method she was able to heal herself, run, and compete again. 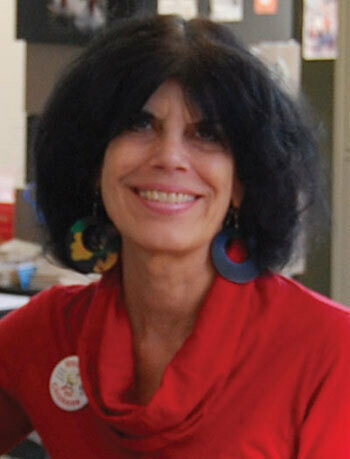 Sharon is a Guild Feldenkrais Practitioner, with her private practice based in Park City. She also teaches classes and clinics around the country and offers instructional online classes, local clinics and workshops. Her clients repeatedly comment on the inspiration she offers, and the self-empowerment the Feldenkrais Method gives.